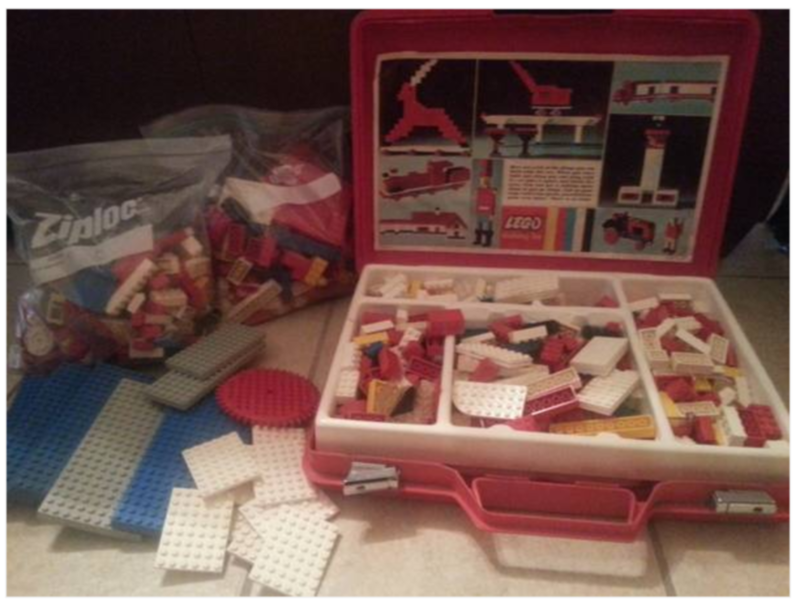 Anyone know anything about this Samsonite LEGO suitcase set? @mrbradford it looks very similar to this set http://www.bricklink.com/catalogItem.asp?S=4-2 if that's any help. This set is 502. It is not the Velveeta set 4. 502 is a FAO Schwarz set from the late 60s. It is should be nearly identical to 450. It came in either a red or a blue Loveland type case with the paper pictures glued to front and inside lid. The front image is similar to the 450's and the inside one is the same.